Basically, it is a big boat pulling an even bigger net through the water, so that it drags across the seafloor. They have come to be known as the bulldozers of the ocean. Trawl fishing has ruined vast areas of seafloor all around the globe. Trawl-free zones are starting to crop up now that it is known how much damage is being done to our subaquatic ecosystems. Greenpeace are doing great work in this area, even getting big names like McDonald’s and fishing companies in Russia to agree to stop expanding until trawl-free zones are designated. But here is the problem – trawling is the most cost effective way to catch the large quantities of sea life that the world’s population demands. This means we are massively overfishing our oceans – because the problem with trawling is you can’t target. You just sweep everything up, including dolphins, endangered species, and other undesirable catches known as ‘by-catch’. Stocks of all species are massively depleted. Shrimp trawls are the worst due to their fine nets, meaning for every one shrimp caught over 10 unwanted things are caught too. It also destabilises the seafloor as the net is weighed down by that which it catches, it ploughs through completely disturbing the natural balance which can mean changes in temperatures and even currents. As well as marine life, corals are destructed, and these play a crucial part in the ecosystem as do the varieties of sponges, urchins, and anemones that also get displaced. If animals don’t get caught, they may also get crushed, or their habitats destroyed. What is Sri Lanka doing about it? 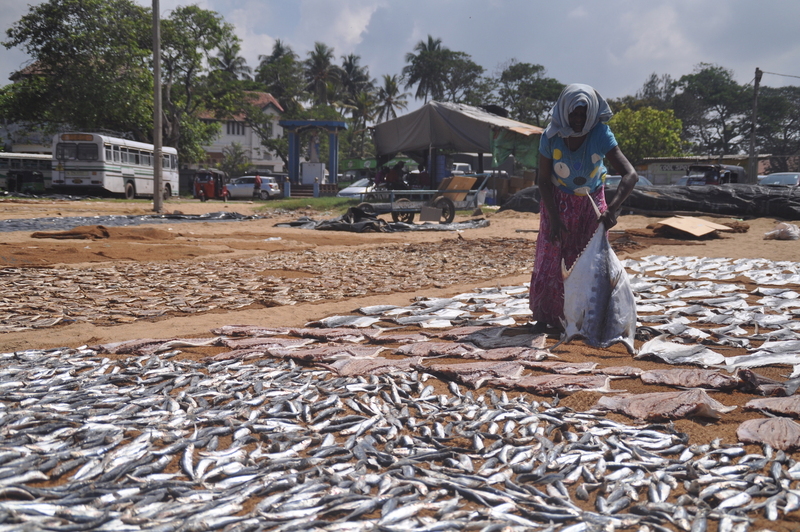 The Sri Lankan government have entered into a new agreement with India to patrol the waters together, and to set up a procedure so that arrested fisherman can be repatriated and dealt with appropriately. Sushma Swaraj, the external affairs minister in India and Mangala Samaraweera her Sri Lankan counterpart came to the agreement earlier in November. 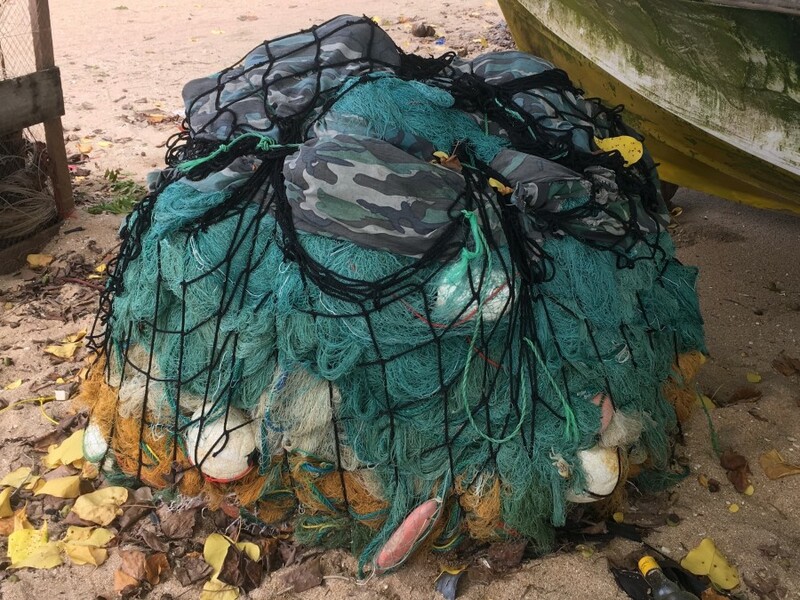 This will mean there will be greater joint working on the issue, and more regular meetings to help put a stop to illegal fishing and trawling practices. Representatives from the ministry of foreign affairs, the navies, and the coast guards from both countries will play their part. They will set up hotlines to allow for instant communications when something illegal is spotted, and they have agreed to work towards the ending of bottom trawling. Fishermen’s associations will also meet every six months and be a part of the process – this will be key to the project’s success and sustainability. It is great to see the two nations working together to protect the oceans we love so dearly here at Island Spirit. We have taken them for granted for far too long, and balance must be restored for us to be able to continue to enjoy them. We rely on the sea for so much, not only food, but climate, sport, relaxation, and transportation! We must therefore treat it with respect and limit the harm being done.